The interwebs are full of information about nearly anything you want to educate yourself on and you can very easily find both sides to any story if you dig deep enough. Being that we are, of course, Pit Bull advocates I tend to read articles more geared toward how wonderful my chosen companions are. I love those articles that debunk myths that keep circulating which further inflame the BLS propaganda. For instance, Pit Bulls do not have locking jaws, though a friend has told me this year that their vet told them otherwise. 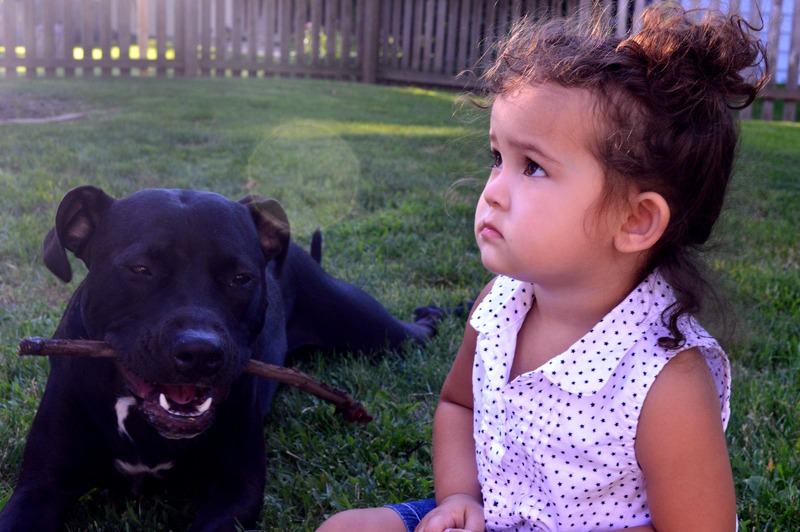 But the myth I really, really want people to stop sharing is the one about the Nanny Dog. Although there are scads of pictures from back at the turn of the twentieth century with children and their Staffies, there is no written reference to these dogs being bred or raised to be nanny dogs. In fact, anyone who would leave their children in the care of a dog-any breed of dog-really needs to think long and hard about the consequences. 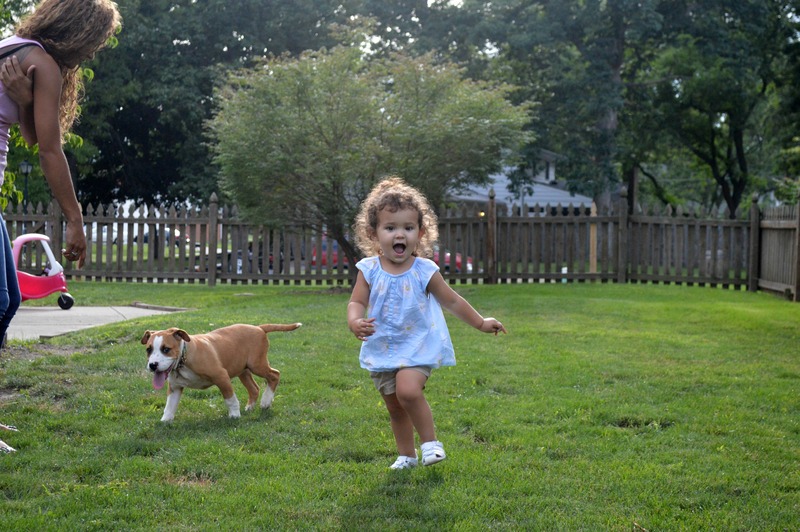 Children and dogs are some of the cutest things on the planet but while you can often predict what certain behaviors will occur in a dog, I know for a fact that a two year old is a loose cannon. 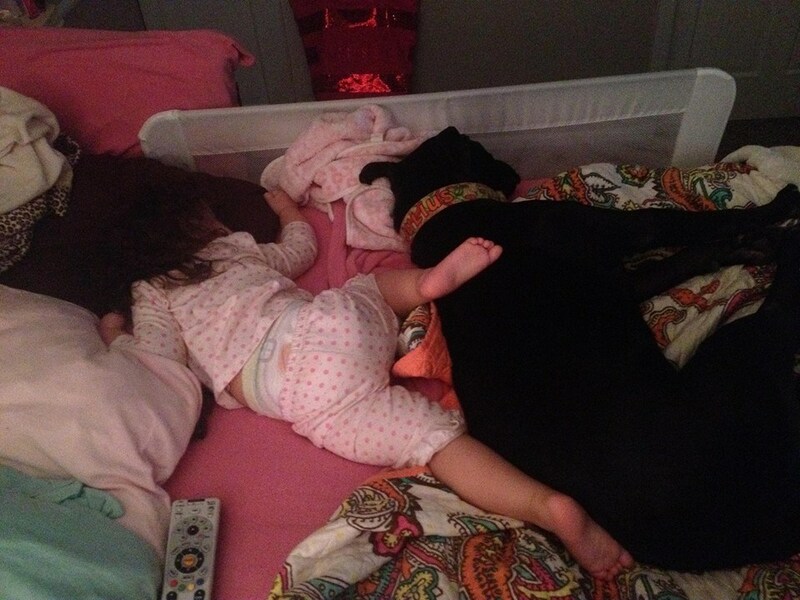 Our human baby absolutely loves her “goggies” and all of the visiting dogs from the shelter, but believe me, she is never left unatteded with any of them. Julius, who is very social and good in so many situations, knows he can just get up and walk away when he’s had enough “baby time.” Ray, who tries so hard to be socially appropriate, will let the baby sit with him, but often nervously licks his lips or rolls over. We keep the interactions brief and safe for Ray so that they stay just as safe for the Muffin. I love my dogs and I trust my dogs, however I know that they are dogs. Nothing has happened in our home to spur this post and everyone is fine but while I’d love to say, “yeah Pitbulls are so awesome that you can hire them as baby sitters”, but that would be irresponsible and ridiculous. Until they learn to speak words and tell us they don’t like something, I need to be their voice and keep them safe. 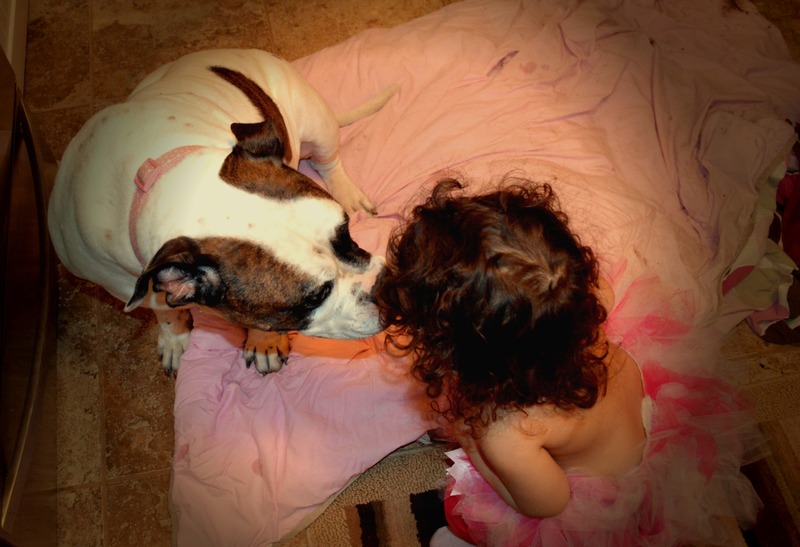 This entry was posted in american bull dog, american staffordshire terrier, Julius, Peaceabull, Ray and tagged dogs and babies, myths. Bookmark the permalink. For the record, Melvin and Jake would also not be good babysitters. Melvin would knock kids over due to not knowing his own size and Jake would 100% steal snacks from their mouths. Teaching a dog that he/she can and should leave the room if they feel uncomfortable is one of the best things you can do for a family dog. Love this post! Thanks and I agree. I tell Ray all the time to leave but he stays so we remove the baby. I know of one dog who lost her life due to her exuberance and the family’s refusal to pay for training. DOGS ARENT BABYSITTERS! Great post! 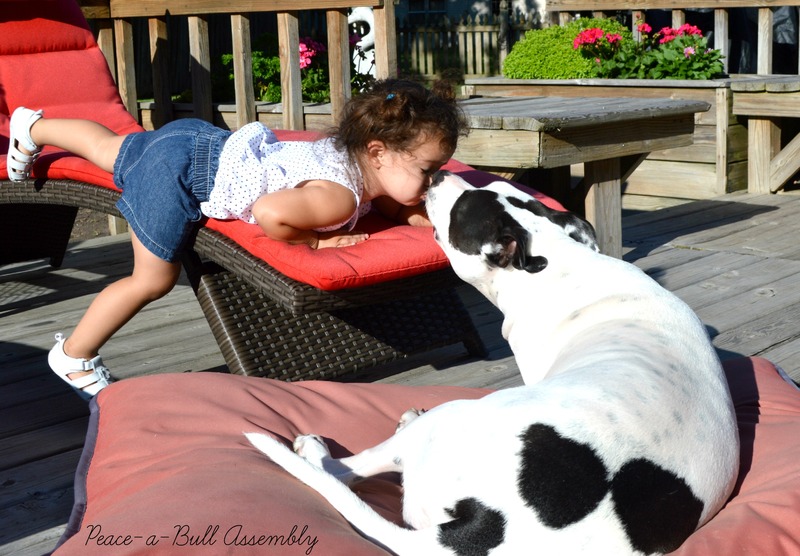 Lately I’ve found that things have swayed in the opposite direction when it comes to pit bulls. People run up to us and start going on and on about the bad rap they get, it’s all how they’re raised, etc. I find myself smiling and nodding but thinking, why all the hoopla? They’re just dogs! 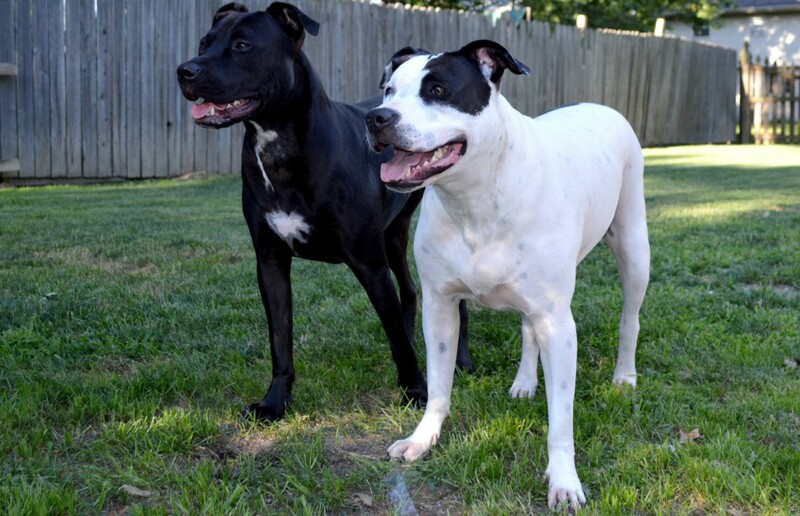 And especially with the huge amount of mixed breeds that look like a “pit bull” people are often causing a fuss(either good or bad) about a dog that is more cocker spaniel than pit bull.